Enjoy more consistency in your revenue and overall business​ success! If you find yourself short on clients, struggling with inconsistent income, feel like you never have enough time, or just not sure how to build your perfect business, this is the program for you! ​How do I land new clients or handle my existing clients with more ease? 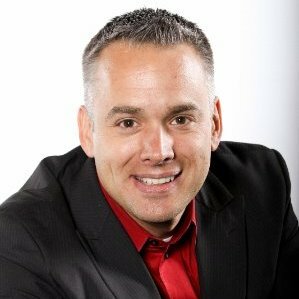 ​​​Am I marketing and pricing correctly to attract my ideal client? 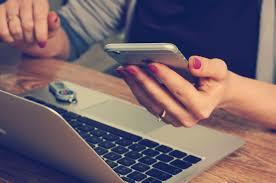 ​​Shouldn't being self-employed be so much easier and fulfilling? Many traditional coaching programs don't follow a strategic framework, so coaching calls tend to be reactive instead of proactive. The Turbo Ascent program solves this. ​You'll follow a set structure each month designed to consistently grow your revenue & resolve issues. ​No more hoping and guessing what will work. Plus, you'll have the bandwidth to focus ON your business to​ make the best use of your resources - time, energy, and money. Your custom business blueprint is created and implemented through monthly group sessions and 1:1 calls with your trusted business advisor.​ At every interaction, you leave with clarity and the exact steps to follow for the upcoming 30-90 days. We reverse engineer the solutions so they fit with your vision and desired lifestyle. You alway have the exact action plan to ensure your business is on the best trajectory for continued success. We start the moment you enroll. Once your application is processed, ​you will receive the Welcome Packet so you know exactly what to expect​ from the program. You will complete and return the QuickStart Workbook. This allows us to use our precious time together to create your Success Blueprint, based on the ​current state of your business. 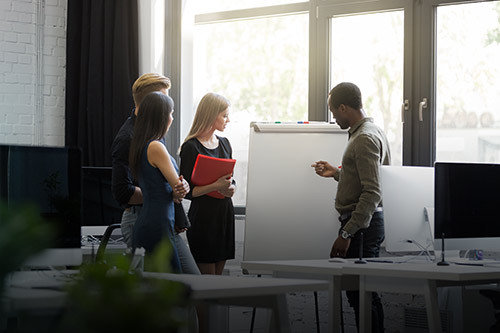 Based on decades of Big 5 consulting experience to top Fortune 500 companies, Nancy designed and simplified a program for smaller business owners. This is a ​proven system with actionable steps. Each element is structured for tangible results, while building on previous activities. ​​Watch your business grow each month! The done-with-you Turbo Ascent program is designed to provide you with fantastic ideas and the step by step answers for execution. You get the right mix of strategic planning and practical application to grow your company. You always know exactly what to do, what to outsource, and how to get each action in your Action Plan done. 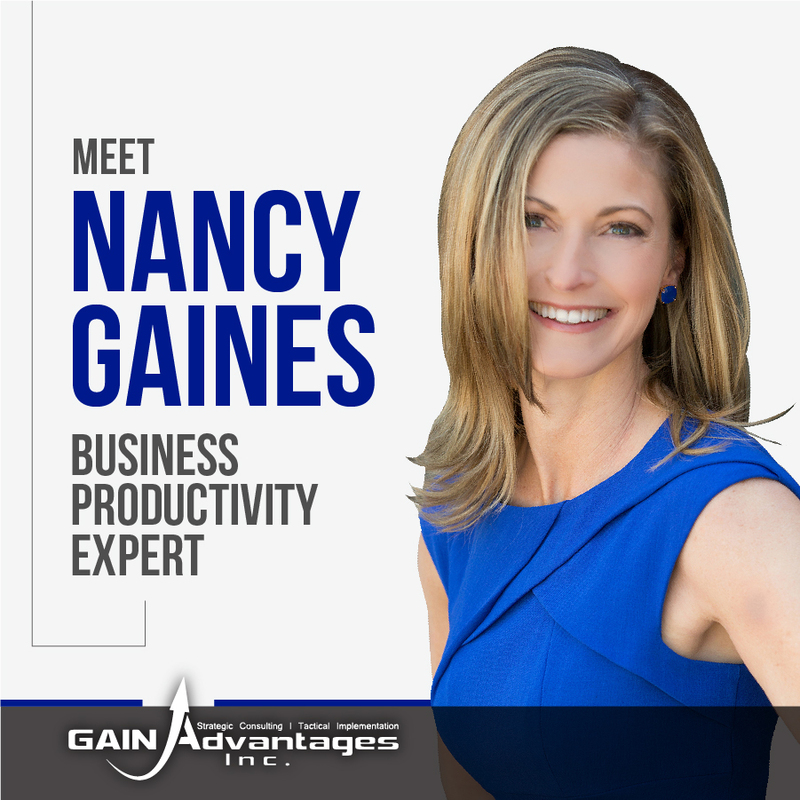 Nancy Gaines, MBA, PMP is CEO/Founder of Gain Advantages Inc. and has been advising small businesses and Fortune 100 companies how to increase revenues through proven systems for almost two decades. She is a best-selling author and international keynote speaker. Nancy has been named in the Top 100 Productivity Experts to follow on Twitter and has a global podcast downloaded in over 80 countries. 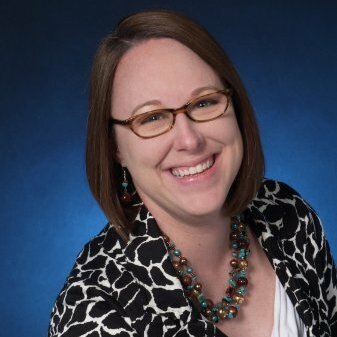 ​Her passion is compressing the time it takes for entrepreneurs to get profitable, because ‘slow and inefficient’ drives her nuts! ​Turbo Ascent is a hybrid program - part training, part coaching, part masterminding, and part peer advisory (aka your own Board of Directors). You experience the best of 'everything business' throughout the year - including accountability so you implement effectively. Imagine how your company will be radically different when your problems are solved, challenges overcome, opportunities pursued, and greater outcomes are obtained! In just 12 months, you close the gap between where you are now, and what's truly possible to create a thriving business you absolutely love. 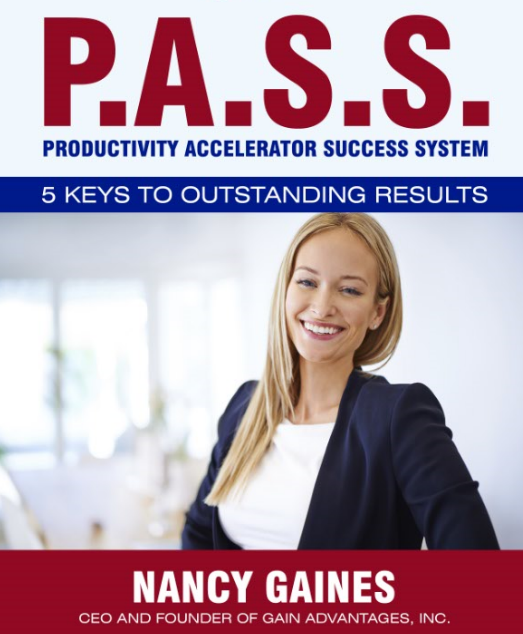 "In a simultaneously commanding and engaging way, Nancy Gaines demonstrates how to implement simple systems that immediately generate income, create time, and focus business owners on the most important actions to grow their companies. With her track record, Nancy knows what works for successful corporations as well as smaller companies. 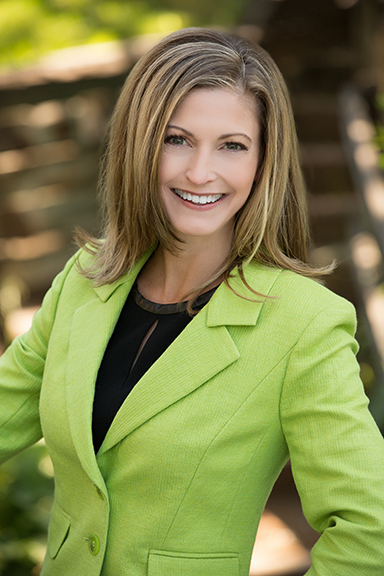 She boils down the key points in a fun and energetic way, so that business owners who follow the steps will see fast results." 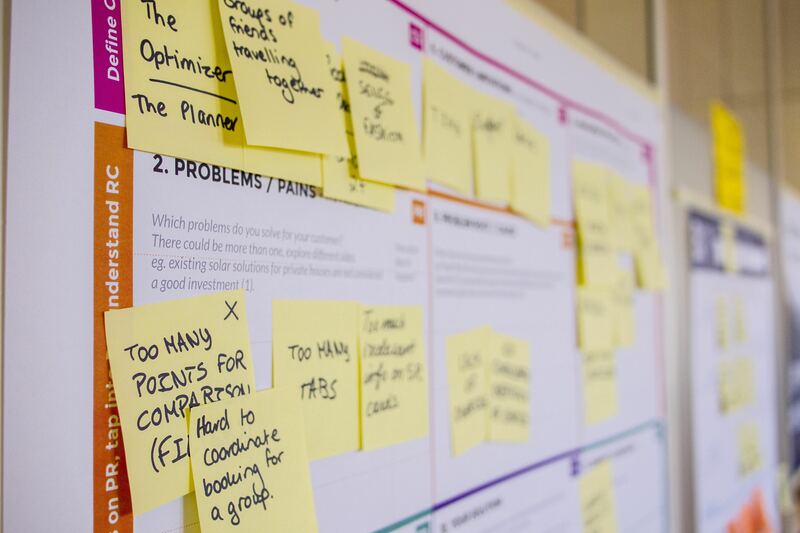 “Before my Speed Consulting Day, I had so many ideas for my business that it was difficult for me to focus and execute internal projects efficiently. I'm too close to my own work and needed an expert, outside eye. I was overwhelmed and exhausted as I tried to work on too many projects at once. Nancy helped me prioritize my projects so that one leads naturally into another. After working with Nancy, I knew which team members to hire, what to systematize in my business, and how to take the exact steps to accelerate my business results in the next 90 days. 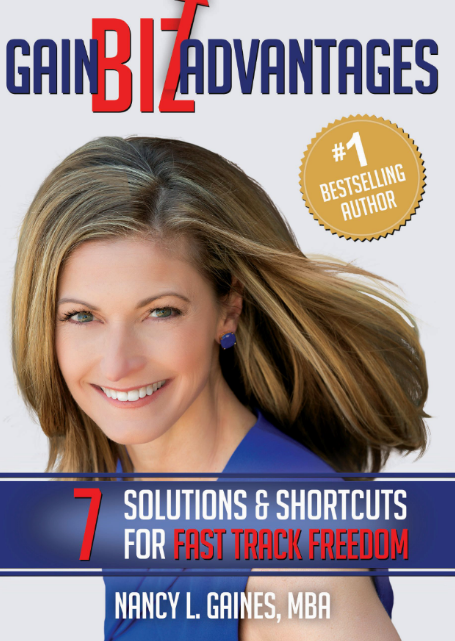 You will LOVE how much you get done in just one day with Nancy - and have lots of fun in the process." “Nancy is a charismatic thought leader for many reasons, and I'll share why I think she's terrific and why I believe people flock to her. I reached out to Nancy after listening to a well-executed podcast hoping for some good tips on how to launch my own. Now only did Nancy accept my request and meet with me the very next week, but she gave me specific, methodical (and easy) steps to follow to go from zero to hero (with my new venture). Nancy is clearly committed to providing value to everyone she meets and serves. Thanks for being there for me, Nancy!" This full-year program is fast-paced, intensive, and high energy. You are someone who doesn't take action, and you get easily distracted by shiny objects. ​Increase your Revenue, Clients, and Success in just one year. You are fully protected by our 100% Satisfaction Guarantee. If you don't feel we exceeded your expectations and provided value beyond the investment, just let us know. We love bonuses that are super powerful and add more value to your Turbo Ascent program. ​>> Yes, I Want the Bonuses! Ramp up your productivity with this program. Includes four part audio program that will help you gain back at LEAST 5-10 hours in your week. Accelerate your results with a bonus consulting phone call to smash through your biggest productivity challenge right now in your business. Your call can be scheduled as soon as your registration is processed - no need to wait until you come to Colorado. Let's take care of that burning issue quickly. Want to further accelerate your results? Add a Speed Consulting Intensive Day to your annual program. 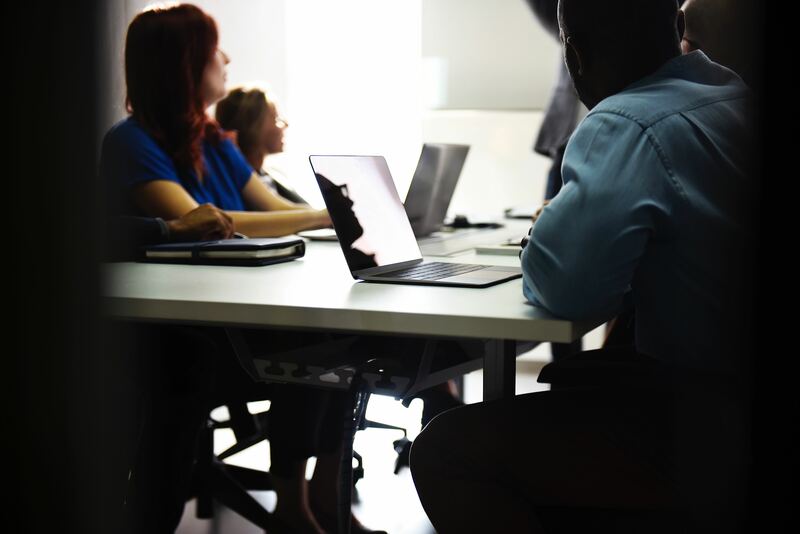 These intensives are ​delivered off-site, so you spend your personalized day being laser-focused on your business - without interruptions back at the office. Getting out of your daily routine and into a new environment provides increased creativity and breakthroughs that often don't happen during normal business operations. We confirm your big vision from the QuickStart Workbook, then we map out your next quarter sprint plan. We determine your top three strategic priorities (solving your biggest obstacle, seizing your biggest opportunity, and defusing your biggest threat), then create a plan of action with the exact steps needed to achieve these goals. We finish out the morning defining solutions to the single biggest obstacle limiting your growth. Next, we identify the resources (products, people, skills, etc.) you will need to build or develop so that you can fully achieve your vision. Then, we break for a healthy, refreshing lunch to recharge before diving into the rest of the day. We review the systems audit you completed in the QuickStart Workbook. Then, we create a Systems Plan of Action for the lowest scoring areas so we start to remove you from the center of the business. This results in your business doing more work for you. We end the day ensuring you are crystal clear on the business action plan. 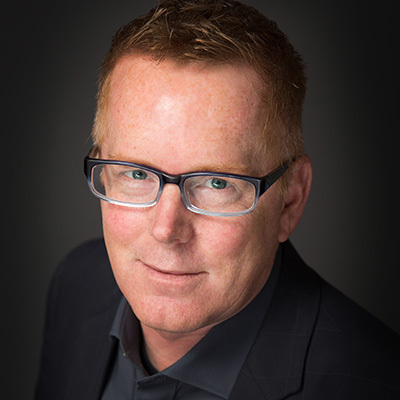 The Speed Consulting Intensives are ​delivered off-site, so you spend your personalized day being laser-focused on your business - without interruptions back at the office. Getting out of your daily routine and into a new environment provides increased creativity and breakthroughs that often doesn't happen during normal business operations. ​What is covered during the monthly group calls? ​The monthly calls are a combination of training, coaching, and mastermind hot seats ​that help you break through specific challenges and grow your revenue. Topics ​vary and are selected based on the exact needs of the group. Topics may include ​lead generation, sales conversions, systemizing, online marketing, offline marketing, networking, PR, pricing, creating products, speaking, writing a book, podcasting, and so much more. ​What's the format of the monthly calls? ​Each call starts with a timely training topic that's relevant to the group, followed by Q&A. All training topics include the 'what and how', so you learn something today that you can immediately implement after the call. Next, there is the accountability portion. Each ​attendee provides a status of recent accomplishment committed to achieving since the last call. Then, attendees ​set their specific business goals for the upcoming month. The final part of the call is the Mastermind Hot Seats. Attendees ​share a challenge, and together the group works through solutions. ​When are the monthly group calls? ​The monthly Turbo Ascent calls are held the 3rd Monday of every month from 12 pm to 3 pm mountain time. The conference line details are providing in the onboarding packet. All calls are recorded so they are available for replay. ​How many clients are in each Turbo Ascent group? ​Each group is limited to up to 10 participants so that each client obtains maximum attention. When possible, groups are structured for diversity in industry, geography, and current and prior career experience. ​Every participant is hand-picked, so your 'Board of Directors' contains the perfect blend of expertise. This provides a more well-rounded perspective during the Mastermind Hot Seats. Will I receive support and accountability between calls? ​Yes, of course! One hour of 1:1 time with Nancy is included each month. This support is on-demand, meaning you take the initiative to reach out when you need help. You do not have a recurring formal coaching call time slot. You simply schedule time with ​a special online booking link (calls are in available in increments of 30 minutes.) We found this more valuable since you get the support for specific issues when you need it most. ​What is the investment for this year-long program? ​The Turbo Ascent program investment is $350/month which equates to $4,200 per year. If you prefer to pay in full when you enroll, your investment is only $3,500. ​Do you have a payment program? ​Yes, of course! If you choose the monthly payment option of $350, your credit card will be automatically billed every 30 days. You will receive a receipt each month by email after the transaction has been processed. Why do you offer Speed Consulting Days as an upgrade? The Turbo Ascent program provides a proven framework for steadily growing your business over one year. What we found is some business owners want to accelerate their progress even​ more. They choose to invest in the Speed Consulting Intensive Days to compress their 'time to results'. By dedicating a full day to working ON their business, clients make quantum leaps - sometimes as much as 3-6 months in just one day! ​With speed consulting, you get the most cost effective and time-sensitive solutions you need to resolve even the most complex challenges - fast and effectively. You leave with an exact strategy and implementation plan to take your company to the next level. Plus, you'll integrate the outcome of the day into your monthly Turbo Ascent program. ​Where do the Speed Consulting Intensive Day take place? The Speed Consulting Intensive Days occur in Morrison, Colorado which is about 50 minutes west of Denver International Airport. Morrison is a small town nestled in the foothills of the Rocky Mountains, surrounded by beautiful views and evergreen trees. Pack a camera as it's not usual to see wildlife passing through (or even napping) on the property. What times do we start and end the Speed Consulting Day? The day start at 9 am and ends by 5 pm. If you are coming from out of town, it's best to arrive the day before. Your Speed Consulting Intensive includes breakfast, lunch, and healthy snacks so you stay fully energized throughout the day. What should I pack for the Speed Consulting Intensive Day? Dress comfortably so your creativity is unrestrained. The weather in Colorado varies widely throughout the day. You'll want to pack layers so you can easily adjust to the temperature variations. 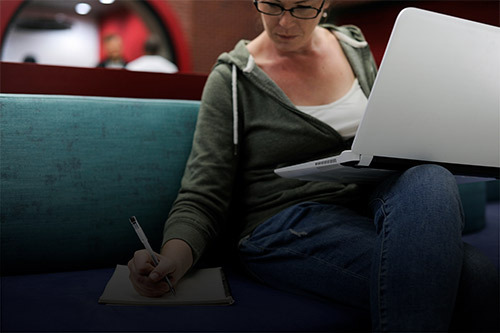 Bring your laptop and any information that you want to discuss during your session. If you enjoy hiking, pack sports attire and sturdy shoes. Sometimes Nancy adds an outside element to the day if requested by a client. Can I bring my family to the Speed Consulting Intensive Day? Only enrolled attendees of the Turbo Ascent program (and key team members) can attend the Speed Consulting Intensive Days. ​​We highly recommend you book your trip to include a few extra days in Colorado before or after your session. Colorado has lots of family friendly activities all year round for everyone to enjoy. 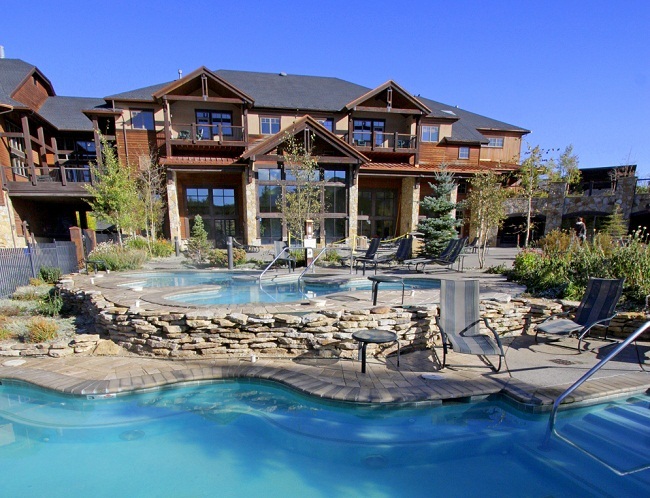 ​Why do you offer the Summit Retreat as an upgrade? ​Like the Speed Consulting Intensive Days, we ​found that dedicating a few days to concentrate ON​​ your business results in quantum leaps in your progress. By working side-by-side with other Turbo Ascent business owners for 2.5 days, you deepen relationships ​within this community while accelerating your progress. More details about this summit will be providing on the monthly calls. After you choose to invest in the​ Turbo Ascent program, you will be emailed the Welcome Packet that contains more details on next steps. You will also receive the QuickStart Activity Workbook which must be completed and returned to us.​ If you are adding the optional Speed Consulting Days be sure to contact us to reserve your day(s) as soon as possible. They book up very quickly.